Learning how to plan and plant a vegetable garden is easy, once you know a little bit about the needs of various vegetables and how to annually rotate what you grow to improve the soil nutrients. Let’s look at how to plan a vegetable garden that feeds your body and soul. The vegetables provide nourishment; the activity of gardening feeds your soul. Vegetables, particularly non-starchy vegetables, are the mainstay of healthy bodies and should be about 50 percent of what you eat. Growing your own vegetables and fruits assures that you are getting fresh, organic foods to fuel your body. Digging in dirt, caring for plants, and seeing your successes can nurture your soul and bring peace and a sense of calmness to a chaotic life. These are also great ways kids can help in the garden 😉 Now let’s get started with how to plan a vegetable garden. Before you put pencil to paper to draw a beautiful garden design, let’s have a look at each of these essential elements for growing. This way you can decide what you can grow, and where to grow it, even if you only have a small corner for your garden. The position of the garden is important. Before planting your veggies, find out the hot and cold areas of the garden. Also look for the amount of light available. A garden on a South-facing slope is the warmest. It faces the sun at the best angle both during the summer and winter. The position of your home, hedges, fences, outbuildings and large trees can create large shady areas. If you’re not careful, some parts of the garden will not see the sun at all. North-facing gardens face away from the sun. While this should not affect summer growing, the garden may be cast in the shade for months during the winter months. Western-exposure gardens tend to be battered by warm, wet, windy weather. A northern and easterly exposed garden may have to endure cold winter winds. 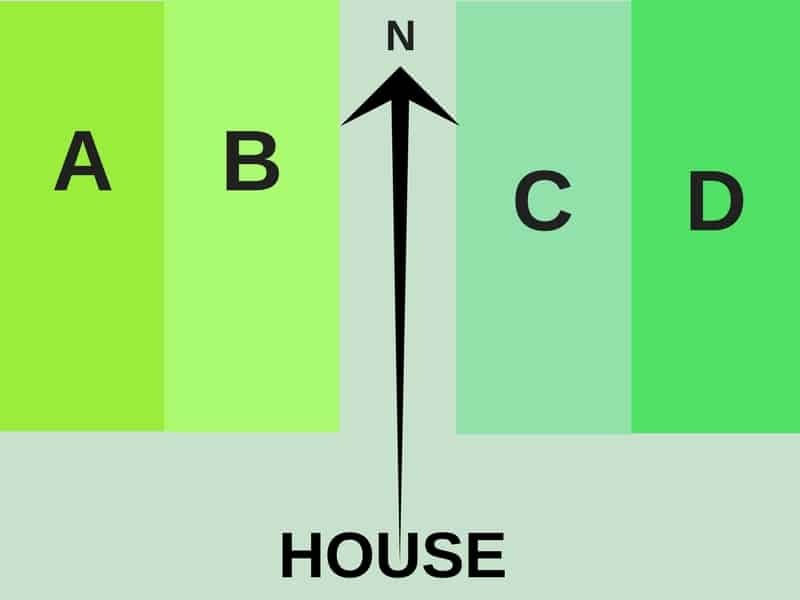 Take some time to discover which part of your proposed garden gets the most light. This is especially important during spring and fall when the sun is lower in the sky and the effects of shadows are going to restrict planting and growing. Also take note of windy parts of the garden. You may need to provide some protection to your vegetables so they can grow without being blown over. In the following vegetable garden design example, the house is facing East and the garden faces West. A western-exposure garden will have light all day long both in the summer and winter. The crops can easily be rotated from one quarter of the garden to another. In the next example the house is facing South, ideal for the summer, with the garden on the North side. A North-facing garden is fine in summer. Unfortunately, the garden will be in the shadow of the house for most of the day during the winter. In a situation like this rotate your crops in strips. Place plants that will stay in the ground during the cold winter months as far away from the house as you can, so they will receive as much light as possible. The type of soil you have in your garden impacts what can be grown there. Of course, you can add compost and other ingredients to the soil to improve it. 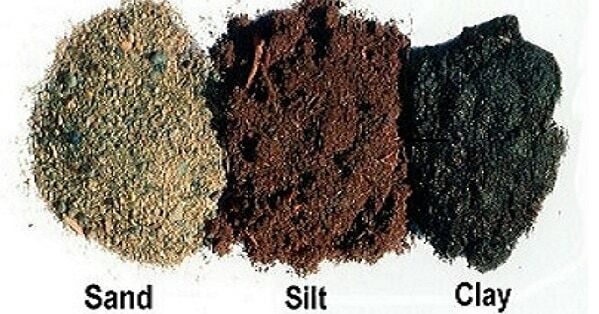 To understand the soil type you have, it helps to know what sort of particles make up your overall soil. Clay particles are important because they hold water, while sand or silt particles aerate the soil, allowing it to drain freely and be penetrated by roots. Both clay and sand type particles are needed. But too much clay will waterlog the soil, and too much sand will drain it too quickly. Very few plants can thrive in a heavy clay soil, as the soil nutrients can be difficult to reach. So it is important to add materials to aerate the soil to make it less dense and allow it to drain more freely. Rather than digging, use a fork to aerate the soil and add organic material such as garden compost and shredded leaves. Don’t try to work clay soils when they are very sticky. This will compact the soil, making it harder to break up. If you have to walk on the soil while you are working it, use boards to spread the weight. It’s also worth considering using raised beds, which don’t require walking on the soil. If you are planning a garden of vegetables and you have clay soil, use clay loving plants for a few seasons to help break up the soil. Consider shallow rooted plants such as lettuce and chards. Or grow your brassicas (such as cabbages) in clay for the first year. They enjoy the firm anchoring this soil offers. Water loving plants like the cucurbits, such as squash, pumpkins and cucumbers, will also do well. Just make sure to dig out some soil and back fill it with compost before planting. On the other end of the spectrum, sandy soils tend to drain too quickly and hold very little in the way of nutrition. To raise vegetables in this type of soil, you will usually have to add a nutritious soil-retaining medium to the sand to overcome this problem. Garden compost is the best solution for sandy soils. It will give the soil a better structure and will help it to retain water. However, before you start to cure all your sandy soil, there are a few dandy soil loving crops that you may want to try that are permanent crops. Asparagus thrives in sandy soil; it is one of the first vegetables to grow each spring and it comes back every year. It is the best reward for a sandy free-draining soil. Remember that it takes several years for asparagus to produce edible plants. Raspberries and blackberries, which spread easily, also do well in sandy soil. They come back every year, sending shooters out to expand their area. Keep on top of culling the new berry shoots, and you will have lovely berries to eat each year without having the brambles take over your garden. Now that you know what kind of soil you have, it’s time to decide how much space you will allocate to a garden. Remember that the bigger the garden, the more time it will take to plant and care for it. How much space you have to grow vegetables is a big consideration. Some plants take up more room than others. If your space is limited, consider sticking to your favorite vegetable or to ones you think of as treats. Another option is to look at growing heavy cropping vegetables that you eat frequently. Your vegetable garden doesn’t have to be huge to be productive. It’s surprising what you can grow in the smallest of gardens. Raised beds are a good idea, and container gardening is easy and becoming more popular. What you decide to grow, on whatever scale, requires understanding that vegetable groups and crop rotation is an important part of planning a vegetable garden. When you know how much space you have and where you will plant your garden, the next step is deciding what to plant. Before you can decide how to divide up your garden, make a list of the vegetables you are considering, separating them into groups. I would suggest that you try to keep to four groups because it makes the soil preparation simple to follow and the garden division much easier. 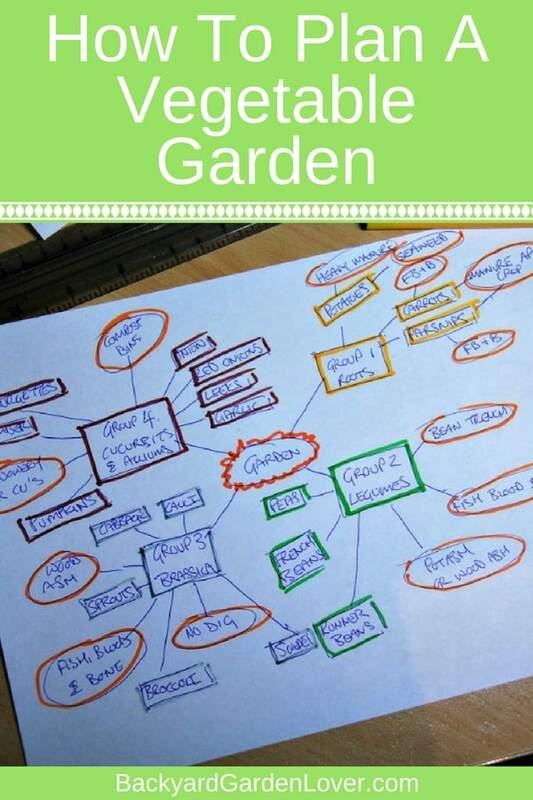 For a visual aid to your vegetable garden planning, you could draw out a mind map for the groups, putting in the soil preparation for each area (discussed later). If you simply want to have some homegrown vegetables to try before you commit to four groups and a crop rotation schedule to improve the soil, plant a few potatoes, runner beans, peas, cabbages and sprouts. This would give you a three-group rotation plan that would work well. I suggest you grow at least three groups because alternating two groups of vegetables every other year could cause nutritional problems in your crops. If you have a very small area and cannot divide your garden, you can rotate what you grow from year to year, growing potatoes and carrots this year, runner beans and peas next year, cabbages and cauliflowers the following year, and zucchinis and pumpkins in the third year. Once you choose your groups, you have the start of your plan. Simply pace out your garden and draw a map, dividing it into the number of groups chosen. Then add small paths within the garden to walk without stepping on your plants. 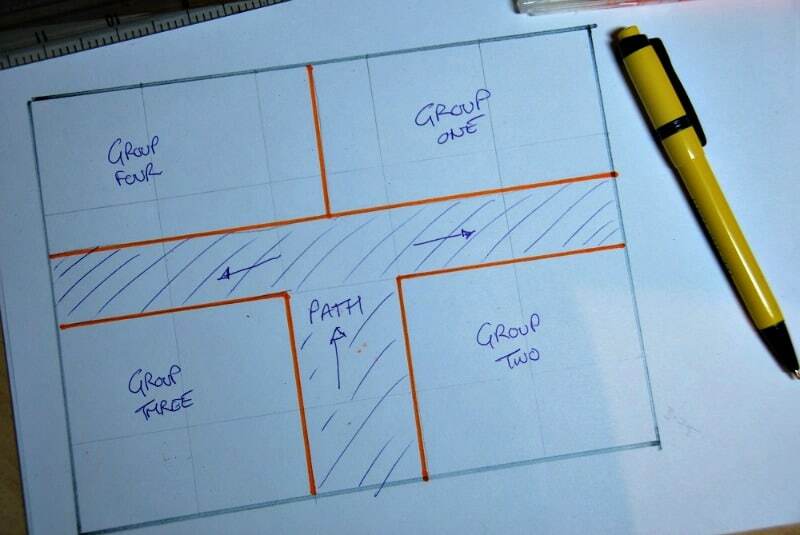 The plan below shows a rectangular garden with a simple path in the middle and to each side, dividing the garden into four areas. You can make your vegetable garden planning more elaborate by adding things like compost heaps, a storage shed and water containers. Just make sure your plan will split the garden into appropriate equal-sized groups. We rotate each growing group counterclockwise each year. So Group Four this year becomes Group One, Group One becomes Group Two, and so on throughout the garden. Remember to read the seed packages for the vegetables you want to plant. Follow the directions on the package for when to plant and how far apart the seeds should be planted. This information will help you decide how many plants you can fit in your space. The reason we split our plants into multiple growing groups is to help control pests and diseases, and to allow a system of soil preparation that works each and every year. This manner of soil rotation makes the process of growing your own vegetables easy to follow. This is how our vegetable garden planning works. Group one has the potatoes, carrots, parsnips, celeriac and beetroot, which are planted in the spring after the last frost. The soil is heavily manured in the fall for spring planting by placing a layer of manure on top of the bed. This is not needed for the carrots and parsnips areas. The manure feeds the soil for the potatoes and acts as a weed suppressant. The worms will work it deeper into the soil over the winter. When we plant potatoes, we add seaweed, which acts as an insect repellent and a soil tonic that boosts nitrogen-fixing bacteria. Group two is the legumes, which are also planted after the last frost in spring. When Group One has been harvested in the fall, we dig trenches in the growing position of the beans and peas. Then we dust the trench with fish, blood and bone fertilizer, line them with newspaper, back fill with kitchen waste (no meat or dairy included) and cover with soil. The trench retains water and the kitchen waste adds nutrition. We also dust the soil with wood ash which helps the development of the root systems that take up the high levels of nitrogen-fixing bacteria left by the seaweed last season. Group three is the brassica (cruciferous vegetables) group, planted in early spring. Although they need a lot of nutrients to develop large green leaves, they also require an alkaline soil and a firm, undisturbed bed. As this group follows the legumes, there should be no need to add any food to the soil. There will be plenty of goodness left from the rotted down kitchen waste, the fertilizer we added, and the roots of the beans and peas that should have broken down to release the nitrates they stored last year. Don’t add manure. It will damage the brassicas by making the soil acidic. After the growing season, loosen the soil and dust the bed with fish, blood and bone fertilizer, adding wood ash, and do no digging at all. Group four is made up of two groups in our vegetable garden planning design. The alliums that will not require any added nutrition can be planted in late summer to early spring, and the cucurbits (squashes) that will not thrive in a tired soil and can also be planted in early spring. During spring planting we add the contents of the compost bins to the base of each cucurbit plant, topping with the contents of the wormery later in the season. 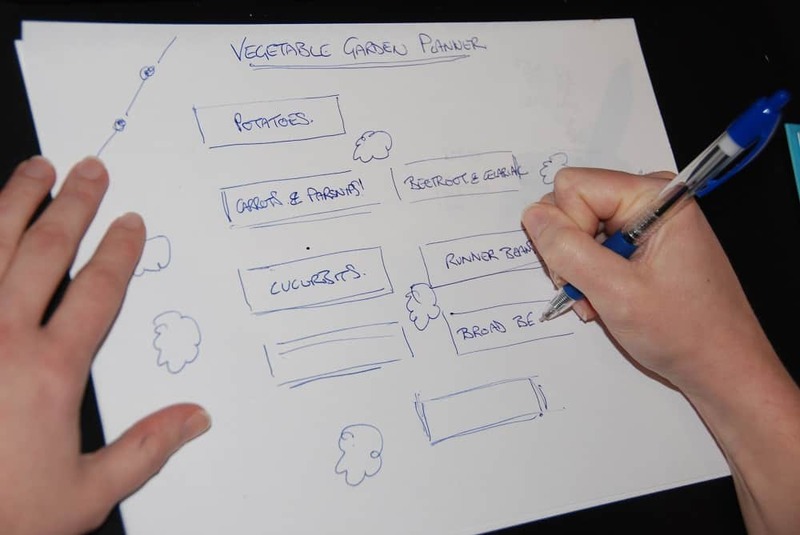 If you lack drawing skills, there are some terrific vegetable garden planning software packages available. They are easy to use, and a good package will work out your plant spaces for you. They will also total up each plant you plan to grow, giving you a printable planning sheet with sowing, planting and harvesting times. I’ve used the GrowVeg Planner, I love it. Let me tell you why. When planning your garden, there are a number of issues you need to consider. We have already discussed plant grouping, soil improvement and crop rotation. Other issues include plant spacing, sowing times, planting times, growing seasons, when to harvest, climate, and the seeds you’ll need. Any tool that can simplify this process is definitely worth investigating. The GrowVeg garden planning software is an easy-to-use application that can help you incorporate all parts of your vegetable growing plans, helping you plan each part of your garden, season after season. It allows you to design your very own garden to scale. 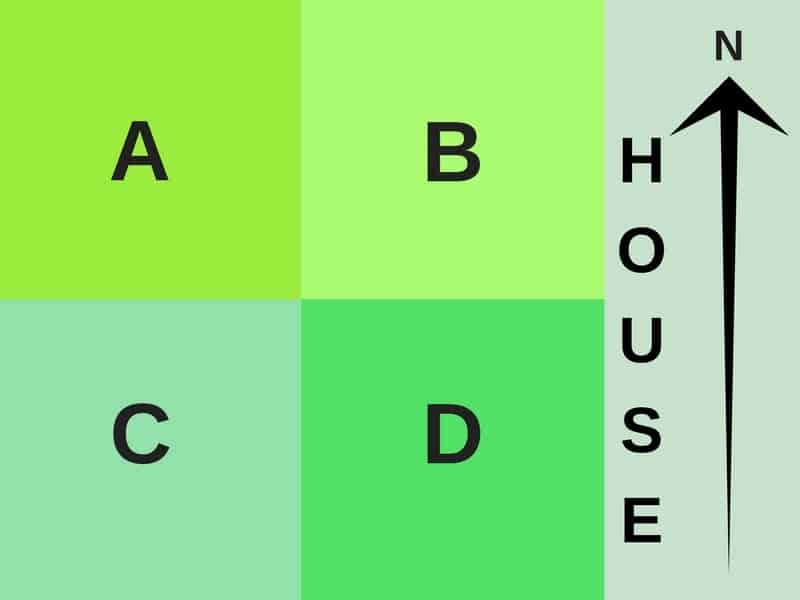 It will help you select every structure in your garden, such as vegetable beds, paths, trees, patios and pots, creating a copy of your garden, exactly the way it looks (or you would like it to look). And with over 130 objects from fruit netting and irrigation systems to raised beds and containers, there is no part of your garden that you won’t be able to duplicate. Once you have created your garden, add your vegetables by dragging and dropping them into each bed. Once you decide how much space you’d like to use, GrowVeg will automatically calculate how many of each vegetable plant you can grow in the space allocated. Each vegetable variety is color coded depending on the group it belongs to. This makes crop rotation and next season planning easy. There is even a how-to-grow section for each vegetable you choose. 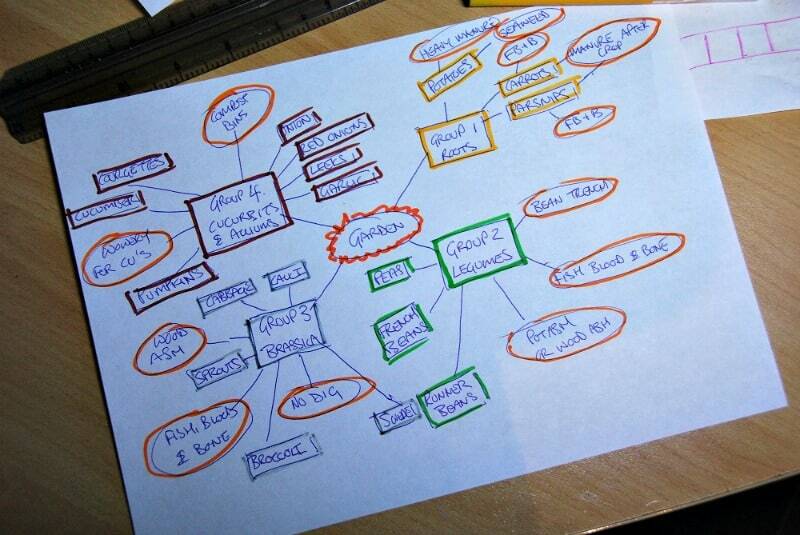 The planning tools make the visual part of design very simple. Once you have your garden exactly the way you like it, the software will create a spreadsheet showing you how many of each vegetable plant you’ll need. It will also show sowing, planting and harvesting times, depending on your location and climate. 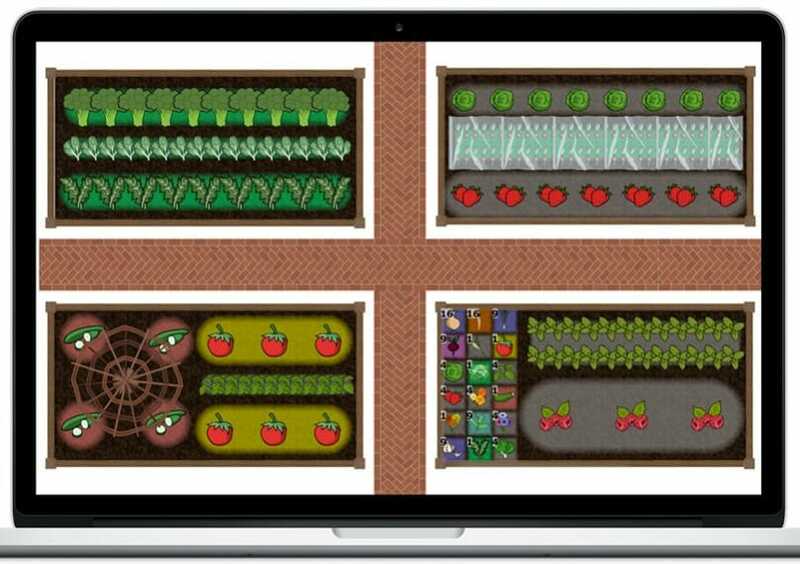 These vegetable garden planning tools will help you decide on gardening techniques (such as succession growing). If you have a greenhouse or poly tunnel in your design, it will automatically adjust the spreadsheet to allow for protected growing under cover. Take a look at the short video below introducing the vegetable garden planning tools with GrowVeg planning app. The GrowVeg tool is available on many platforms, and can be used on a phone, tablet, laptop and PC. Take advantage of the free trial to access the design tools and the GrowVeg video library. I hope you got plenty of ideas for how to plan a vegetable garden your family will enjoy.